Not a fan yet? Follow us on Facebook! Stay tuned for new arrivals and latest news. String Set for Electric Guitar, XL Series Nickel Wound Regular Light (010 - 013 - 017 - 026 - 036 - 046). 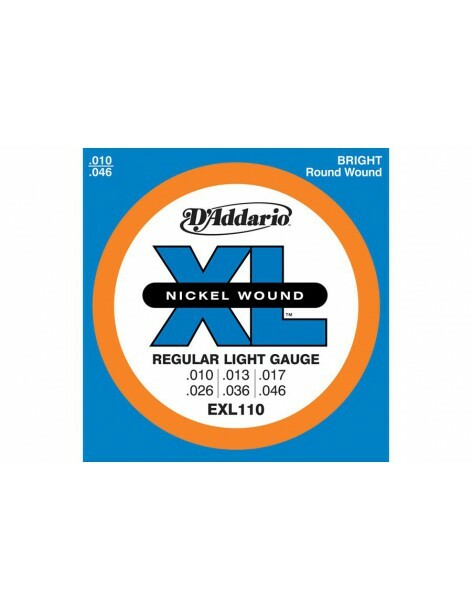 XL Nickel Wound, D'Addario's most popular electric guitar strings, are precision wound with nickelplated steel onto high carbon steel core. EXL120, one of D'Addario's best selling sets, delivers super flexibility and biting tone. A standard for many electric guitars. 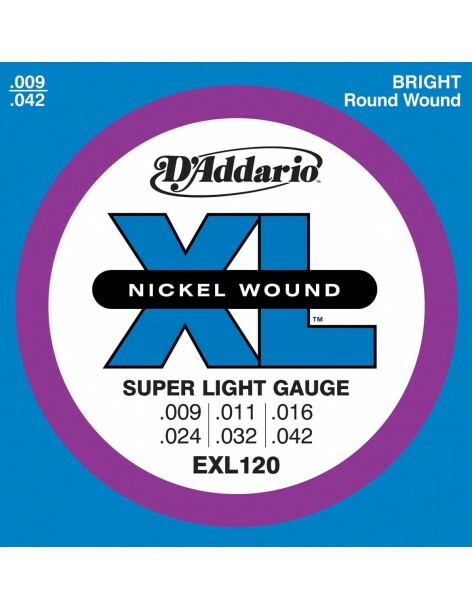 XL Nickel Wound, D'Addario's most popular electric guitar strings, are precision wound onto a high carbon steel core. 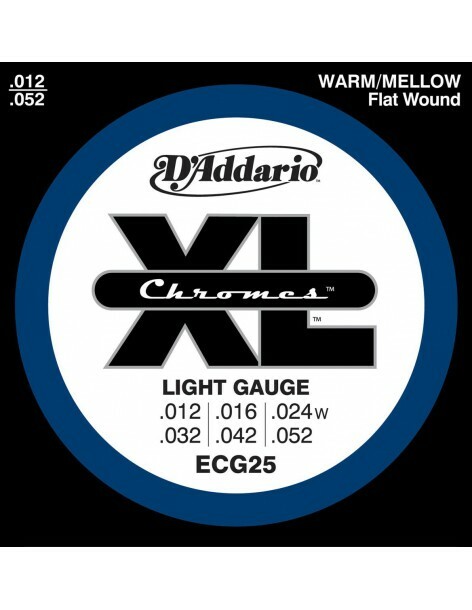 ECG25, one of D'Addario's best selling flatwound sets, delivers a smooth feel, warm/mellow tone and tighter tension, ideal for traditional jazz playing.